I greatly appreciate your responses to my past questions. I feel pretty good about the list of schools I have in mind, but I'm still trying to figure out my future plans. I apologize for such a long post, but I wanted to present these questions together rather than create separate threads. Intern/volunteer experience: The MSW program entails about 1,000 hours of field experience. I worked at a mental health center for the first half of those hours, and for the second half, I plan to do a combination of mental health and social services work. I am looking forward to graduating with an MSW, getting my license, and engaging in clinical social work on the 'micro' (direct practice) level. 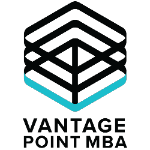 However, I am ultimately hoping to pursue an MBA and specialize in nonprofit management, as I feel that I can serve more people by being an effective administrator than I can doing one-to-one meetings with clients. Following graduation, I would like to join the administrative team of a regional branch of a social services nonprofit organization (ex. Catholic Charities, Feeding America, Habitat for Humanity, etc.). I envision myself serving as a department director or vice president of social services. 1. I'd like to apply my MBA towards social services management. With that in mind, should I select a job out of the MSW program that will be more directly connected to social services, such as working with the homeless? Or could I also work in the mental health field as a counselor/therapist, or in medical social work, perhaps in a hospital? I see mental health care and medical social work as one of many 'social services' (along with emergency assistance, benefits, case management, employment counseling, housing assistance, etc. ), so I don't think adcoms would take issue with a mental health/medical social work --> MBA --> social services trajectory . . . or would they? 2. I'm still a little torn between applying in the fall of 2018 (matriculating in 2019) and the fall of 2019 (matriculating in 2020). I'll graduate in May 2018, so if the Americorps year and a half counts as full-time work experience (which I think it would), I would have about 32 months of experience if I matriculate in fall 2019, and 44 months of experience if I matriculate in 2020. That wouldn't include my volunteer/intern experience, or course. If I could submit an application in 2018 and get accepted at Yale, Columbia, Harvard, or Wharton for 2019, I would prefer matriculating earlier rather than later. I'm wondering how realistic that would be for those four schools, though. For instance, it would seem weird to ask my post-MSW employer for an MBA reference just a few months after I arrive there. (I guess I could get a reference from my spring 2018 internship instead, but it wouldn't really be the same, would it?) I also know that post-MBA employers might prefer that I have more experience when I'm applying for administrative jobs. With all this in mind, what year would you recommend that I submit my application--2018 or 2019? 3. This is based on question 2, but would it be a bad idea to apply in 2018, then re-apply in 2019 once I have more work experience? Or would being rejected earlier lower my chances? 4. Would it be alright for me to bring up some of these questions with adcoms directly? An associate admissions director for Yale will be in town in the next two weeks, and I'd love to hear his perspectives on when I should apply. Happy to weigh in on your follow-up questions! But before we dive in, have you considered any of the deferred enrollment programs at HBS, GSB, or Darden? Those could be interesting options for you since you're still in school and struggling to decide when to apply. I would encourage you to look into those and see if they line up with your goals and timeline. 2. I would recommend waiting until 2019 to apply if you're graduating next year. I'd be worried that a few months of work experience over the summer (between when you graduate and when your apps would be due) would be too short of a time to show true impact and professional development. I see that as a bigger issue that the LOR concern you raised. 3. You could go that route but then you become a re-applicant to any of the schools you applied to the prior year. With most programs, re-applicants are not asked to re-write the entire application but instead only submit a re-applicant essay that asks you to address how your candidacy has changed/improved since your prior application. So the burden of proof falls on you. The way I look at it, you only have one shot to make a first impression so why not wait until you can put your best foot forward? Don't get me wrong, plenty of re-applicants are successful every year but I'm not sure you want to bake that into your strategy from the get-go. 4. Yes, absolutely! They may have a different perspective or piece of advice that you hadn't considered before so definitely ask. I'm sure they'll appreciate your candor. Thank you--that is very helpful! I'll definitely apply in 2019, then. I looked at the HBS and GSB deferred enrollment programs, but it looks like the fact that I did work as an AmeriCorps VISTA member in between degrees may make me ineligible. I will call up Harvard to confirm. 1. I believe there's a good chance that applying ED will boost my chances of admission to Columbia. If I have a weak interview or some other part of my application (such as work experience) is lacking from the adcoms' perspective, the ED choice could make up for that. The Decision Tracker results for recent years indicate that your chances of admission at Columbia may be much higher in the early acceptance round, though the applicant pools may also be different. 2. I also think that Columbia could be more likely to give me some scholarship $$$ if I go ED, although I know there's a lot of debate about this. 3. Really not as important, but it would be nice to be done with MBA applications if I find out early that I got admitted there; it would make the rest of the year much less stressful! 4. Submitting the application early (in June or July 2019, for example) would give me more time to work on my other applications. Columbia would be a Round 0.5 of sorts. I know I could also apply early for ED too and just get it out of the way, even if I won't hear back for a while. 5. Columbia' Loan Assistance Program would potentially allow me to pay back much less debt in the long run. If I'm $100,000 in debt when I graduate, but work for a 501(c)(3) nonprofit (which is my plan anyway) and get approved for the program, Columbia could pay off $10,000 in loan money a year for 10 years, which would ultimately be a lot more valuable than a $20,000 scholarship. I know that some other programs offer this as well, and many of them are also on my list of prospective schools. 6. Columbia is, in my mind, tied for "first choice" along with Harvard, UPenn, and Yale. I would be overjoyed to attend any of those schools. So I can say with a straight face that Columbia is "a" first choice school for me. 1. If I'm admitted, I won't be able to compare the scholarship/aid packages that any other schools offer me. If I get a substantial scholarship (or a full ride--I can dream, right?) to another school on my list, I won't be able to accept it. Along with Yale, Columbia, Harvard, and UPenn (my top four choices), I'm also planning to apply to Duke and Cornell in Round 1. If I don't get in to any of those schools, I would plan to apply to Michigan, UNC, Virginia, and Georgetown in Round 2. (All of these are subject to change, of course!) So if one of those schools gives me a much better deal than Columbia, it doesn't matter, and I probably wouldn't ever know anyway. What are your thoughts? I know that I have a good shot at getting into Columbia during regular decision as well, but I don't want to take anything for granted, and it seems that going ED could boost my chances. Oh, and declining the ED admissions offer is not an option for me. As for your chances, that's really not something that I can quantify, particularly since your work experience is a wild card right now. But I can tell you that Columbia will evaluate your application in its entirety so if you're confident you can showcase leadership, impact, teamwork, etc. through other activities than your professional endeavors, then go for it! Otherwise, you'll be better off gaining a bit more real-world experience first.